Traders Fair & Gala night – Malaysia is happy to welcome experts which are going to provide our visitors with up-to-date and fresh news from the trading world: Khalid Hamid and his topic “The Best Way To Make Money In Forex Trading”, Mohammad Nazri is going to share out his experience with the topics “Mathematics in technical analysis” and “How leverage will impact money management”, Sam Goh with his “The Art and Science of Successful FX Trading”, Jim Chiew is going to have a seminar “Increase your Profits with Zero Time & Effort”, Gero Azrul is going to discuss “3 types of trading style – dynamic, proactive and systematic” , ”Elliott Wave Made Easy” by Ang Kar Yong and other up-to-date questions of financial world. 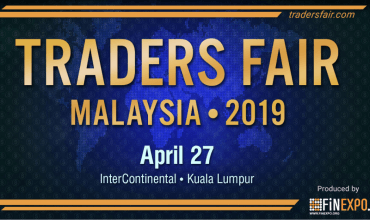 Traders Fair & Gala night – Malaysia is organized by FINEXPO, which is the largest company organizing financial and trading events, fairs, expos and shows worldwide since 2002. List of its projects seems quite long. Over 30000 traders, investors and financial advisors and more than 3 000 financial companies and brokers from Forex, stock, option, bond crypto money and forward markets from all around the world have been connected by FINEXPO. The positive feedback from participants is the best prove of effective and successful work done by FINEXPO.